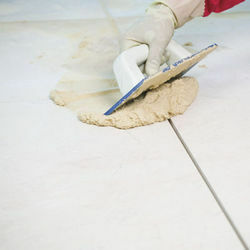 We are a leading Manufacturer & Supplier of Tile Adhesives such as Tile adhesive, Algitile AID, Algitile Aid GP, Algitile Aid SP, Algitile Aid-I, Algi Tile Joint Grout and many more items from India. Algigrout EPX is a solvent free three component product based on epoxy resin which provides free flowing self leveling grout. Algigrout EPX provides maximum uniform bearing support to withstand & transfer static and dynamic loads. SURFACE PREPARATION Concrete surface should be dean, sound and free from oil. Grease, dust & other contamination. Usually abrading with wire brush or sand blasting or etching with Algietch-100 (for concrete only) is recommended. Application: Only material necessary for immediate use should be mixed. The mixed resin should stand for 3 to 4 minutes to let the entrapped air escape. The grout should be poured in about 2 inch deep layers & the previous layer should be surface cool before next layer is poured. Cleaning: Tools & equipments used must be cleaned immediately with Algisolvent T after use as removal of cured resin is difficult. In case of flexible plastic tools, it is easier to dean the equipment after the resin has cured. 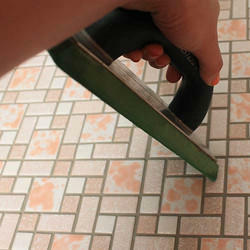 Care should be taken to avoid excessive contact of Algigrout EPX with the skin. 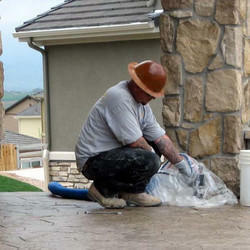 Exposure of Adgigrout EPX to sunlight dining storage & after application should be minimized. ALGIGROUT NS 200 is a ready to use premixed cementatious grout which on addition of water produces non shrink grout with slight expansion. It is free from chlorides and iron particles which can be used for faster and easier installation of static and vibrating machinery foundations. • Its non-shrink property ensures expansion that permanently compensates for plastic shrinkage. • Non-metallic or non-chloride content avoid chances of corrosion. • In grouting for static and dynamic loads. • In emergency repairs and early commissioning of machinery. • In grouting foundations of turbines, sugar mills, steel rolling mills, textile, cement, paper plants, refineries etc. Surface Preparation: All the concrete and steel surface to be grouted should be free from oil, laitance dirt, coating etc. For good bonding. wet the surface and make the form work leakproof. ALGIGROUT NS200 is supplied in 50 kg and 30 kg HOPE bags. ALGIGROUT NS 200 bags can be calculated by considering the yield of 0.413Ltr/kg of grout. ALGIGROUT NS 200 N non-toxic, but alkaline in nature. 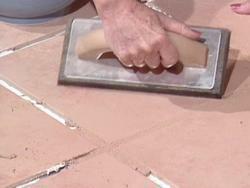 Same as in Algitile Joint Grout i.e., Terracotta. Pink. Dark Blue. Dark Grey, green etc. 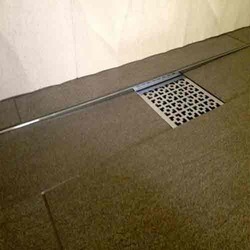 We offer Tile Joint Grout Algitile Grout i,e economical cement grout which eliminates cumbersome process and time needed in matching the colours and wastage of pigments at site. Accurate colour matching is possible. This reduces fading and batch to batch variation of colours.